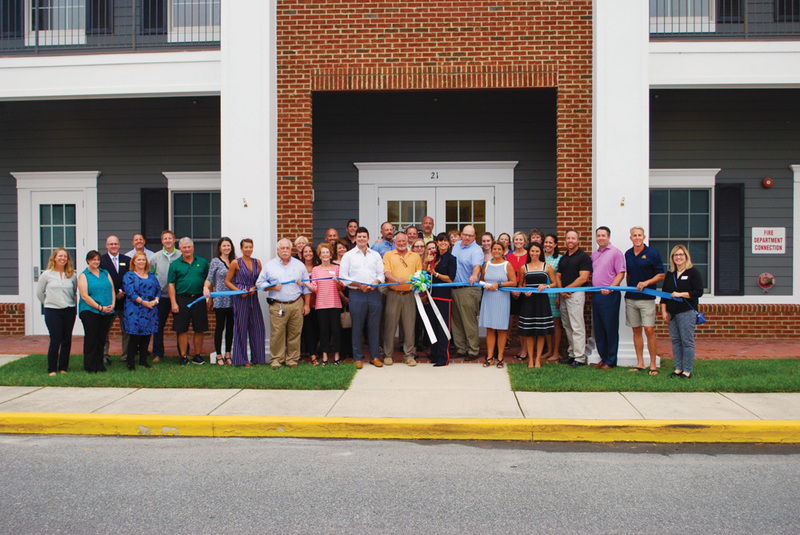 On Thursday, Oct. 11, the Carl M. Freeman Companies hosted a ribbon-cutting with the Bethany-Fenwick Area Chamber of Commerce to celebrate the opening of the Delaware division’s new office space located in the Bear Trap Dunes Marketplace in Ocean View. Operating for more than 70 years and developers of six communities in Southern Delaware, the Carl M. Freeman Companies have never had a permanent residence in the area. The company aims to create ‘places that enrich lives’ and have finally created such a place for themselves, Chamber representatives noted. ‘We are excited to finally have a home, and to be here for another 70 years or more,’ said Michelle Freeman, president and CEO of the Carl M. Freeman Companies. Bear Trap Dunes Marketplace is located across from the Bear Trap Dunes Clubhouse at 21 Fairway Green, Suite 200, Ocean View. To learn more about Carl M. Freeman Companies, visit freemancompanies.com.